The furniture in your home or apartment is the cornerstone of your interior design. Furniture ties a space together. It welcomes you back home with comfortable seating after a long day at work and provides you with a space to enjoy meals with family and friends. Both aesthetic and functional, the furnishings you choose make a statement about you and your values. That’s why, at Webber Furniture, we’re passionate about furniture in Perth. We represent one of the longest-running, most respected furniture stores in Nedlands. Our collection has been carefully curated to feature the finest modern furniture in Perth. Every piece has been intentionally selected for comfort, style and affordability. In fact, we’re confident that you won’t find a better collection of designer furniture in Perth WA. Webber Furniture was established in 1967, and we’ve been selling furniture on Stirling Highway for 50 years now. We’re best-known for our sofas, armchairs and designer lounge furniture. But we also offer a diverse selection of dining and occasional furniture. We’re a locally owned and operated business, and all of the sofas and almost all or our lounge chairs in our collection are made right here in Western Australia by local craftspeople. Each piece has been designed with quality, comfort and longevity in mind, and some are even crafted from local Jarrah and Marri wood. But we’ve also expanded our collection with a few international offerings, including handmade rugs from India and Scandinavian design furniture from Belgium manufacturer Ethnicraft . We value sustainability, fair trade and a true sense of style – and you’ll see these characteristics in every piece of furniture at our Claremont furniture store. This is where it all began for Webbers. Ever since we opened our doors in 1967, lounge-room furniture has been our area of speciality. We understand that the chairs and sofas in your lounge speak volumes about you as a person. It tells others about your design tastes as well as how you prefer to relax. Maybe you prefer the long lines of a modular sofa, with plenty of room to swing your feet up and stretch out. Or perhaps you prefer having your feet planted firmly on the ground – with your elbows on the armrests and a good book in hand. At Webbers, we understand that every room in every home has its own sense of style. That’s why our lounge collection offers you so many design options. In most cases, we work with local artisans, which means the sofas and lounge chairs you purchase from us are likely to be made in Perth or greater WA. This gives us incredible latitude when it comes to creating precisely the type of sofa or lounge chair that you’re looking for. You select the style and choose the upholstery or type of leather you prefer – and we’ll do the rest. 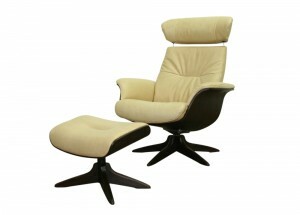 The result is a set of lounge chairs and sofas that are perfectly suited to you and the space. We’re proud to carry such an innovative, high-integrity product in our shop. Armadillo & Co design stylish and contemporary rugs that are handmade by artisans in India. Each rug is made from sustainable, natural fibres – and they’re champions of fair trade practices. Furthermore, their range of indoor/outdoor rugs are made from ‘pep’, a fibre made from recycled, extruded plastic. When you purchase a rug from Armadillo & Co, you’re actively supporting artisan employment. A portion of the proceeds also support education in artisan villages. You have to see these rugs up close to appreciate the artisanship. Visit our Nedlands showroom to have a look. We’re even happy for customers to take a rug home to see how it looks in the room before they actually place their order. Ethnicraft is an eco-friendly furniture manufacturer based in Belgium. Their line of oak and teak furniture represents some of the highest-quality wood furniture we’ve ever featured in our Nedlands showroom. Needless to say, we’re delighted to make this available to our customers in Perth. Ethnicraft champion the natural wood grain, knots, textures and colours that set each piece of wood apart. For that reason, each piece of furniture in their collection has its own unique character. They also take environmental issues to heart, insisting on only using wood that has been sustainably harvested. Even the sawdust created when cutting the boards is re-used either as fuel in drying ovens or for compacting into palettes. We also carry a selection of ‘Mid-Century Design’ furniture, which showcases the type of work created by Nordic designers in the mid-20th century. In those days, Scandinavian designers broke the mould of traditional furniture design with their belief that everyday objects could be both beautiful and functional. Our Scandinavian furniture in Perth showcases the same aesthetic. The chairs, cabinets and tables in this collection are elegant and functional. All of these items are made from either European oak or teak. All are utterly stunning in their minimalist design – clean lines, ergonomic curves and a neutral colour palette. Have a look at our ‘Mid-Century Designs’ page for a closer look at some of our most popular pieces of Scandinavian design furniture in Perth. Of course, nothing beats admiring these furnishings up close in our Nedlands showroom. So feel free to stop in for a look if you’re in the area. If you’re looking for new designer furniture in Western Australia, stop by our showroom on Stirling Highway. It’s one thing to view our collection online, but quite another to admire each piece’s style, comfort and durability up close. And if you’d like to learn more, please don’t hesitate to contact us via the website or by calling us on (08) 9386 6730.